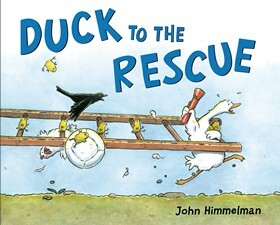 Ducks seem to always find their way into crazy situations in picture books. 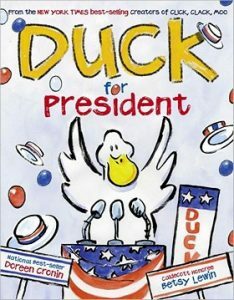 Ten of our favorite wacky duck books provide laughter for children and adults. 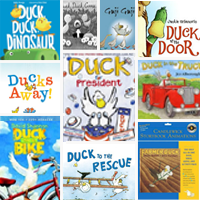 One by one five little ducklings tumble off the bridge into the river below–and mother duck follows them. 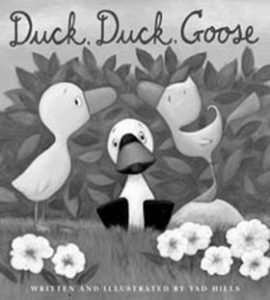 Duck and Goose face a challenge to their friendship when an enthusiastic young duck moves into their neighborhood who wants to play–and win–all sorts of games. 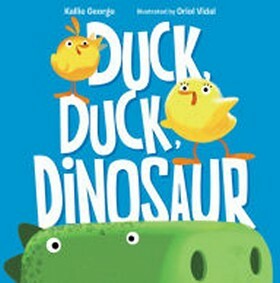 When a crocodile egg rolls down the hill and into the nest with the rest of her eggs, Mother Duck pays no mind and raises the little crocodile as if he were a duck. 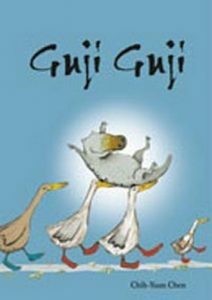 Three eggs hatch, resulting in an unusual but happy family. 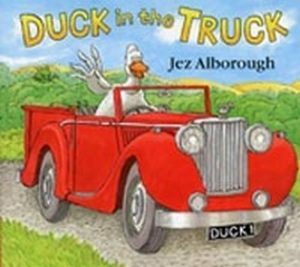 Duck finds himself in an awful mess when his truck gets stuck in the mud, yet when he turns to friends for help, he is sure they will find a way to get him out of his sticky situation. 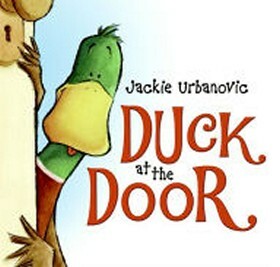 When something goes wrong on the farm, Ernie the duck is determined to help out, but no matter how hard he tries, nothing goes quite as he plans. 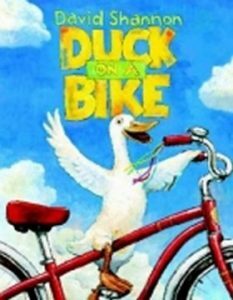 A duck decides to ride a bike and soon influences all the other animals on the farm to ride bikes too. 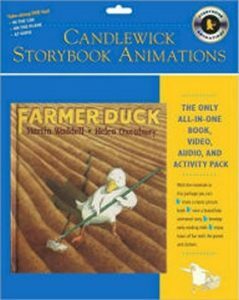 Farmer Duck cooks, cleans, and works hard all day as the farmer remains comfortably in bed, simply bellowing out his orders, but things change when the other farmyard animals come to her rescue and give the lazy farmer his just reward. 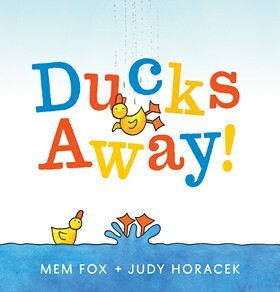 Irene and her family of cats and dogs take in Max the duck, who stayed behind when his flock migrated for the winter, and he learns to do many things, which drives the animals crazy–until he leaves to rejoin his flock in the summer.